Some people dutifully see their Sacramento eye doctor as recommended. However, many people do not have the luxury of doing so or have put it off because of concerns about the process. Fortunately, an eye exam in Sacramento is nothing to worry about. There are a couple of reasons why people should get regular eye exams: people want to know they are seeing their best and that they are receiving regular examinations for eye diseases. The former is especially important in children, while the latter tends to affect older adults. Problems with vision can cause children to do poorly in school, sports, or other activities, and eye diseases take a real toll on middle-aged and older adults. Regular exams help catch issues before they can become a big problem for people of all ages. Our Sacramento optometrists Dr. Krister L. Holmberg and Dr. Shephali Patel start their exam by taking a thorough patient history. Knowing if you have had previously-diagnosed eye problems, long-term issues with vision, or a family history of eye disease will give us a list of things to look out for. Systemic health conditions can also cause eye problems so your entire health history and that or your relative are also addressed. Once we have a history, we will look for physical problems with your eyes. Sometimes, this involves dilating your pupils using drops in order to allow us to see more. If you need vision correction, our revolutionary digital technology allows us to customize a prescription so that you can see your best. Why do children need eye exams? The American Optometric Association (AOA) recommends that children have eye exams at six months, three years, and six years of age, then bi-annually. Children can suffer from a wide range of extremely treatable vision conditions that tend to go undetected. Many of these conditions will have a better outcome if they are treated at the earliest possible age, so regular vision screenings are essential to ensuring your child's future visual health. Something to keep in mind is children often times do not realize they see differently than others, and even if they do they don’t know how to communicate that in an effective way. Will anything at the exam hurt? Nothing about a typical eye exam will hurt. The drops used to dilate your pupils sometimes sting momentarily and may leave you somewhat sensitive to light for several hours, but a pair of sunglasses will take care of that. If anything about our exam is likely to be uncomfortable, we will communicate that to you before proceeding. 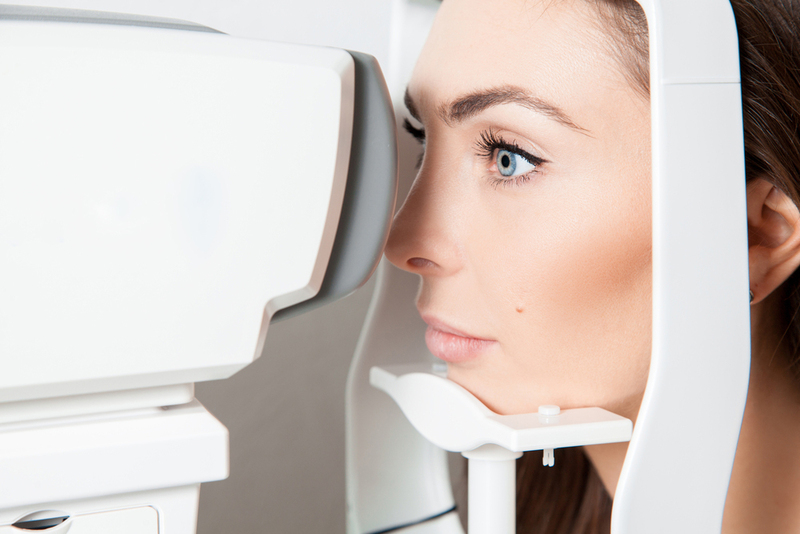 Here at Arena Eye Care Optometry, we offer the chance to have an eye exam in Sacramento aided by the latest technology. Whether you have an issue with your eyes that you need treatment for or it has just been a long time since you last saw an eye doctor, we can help. To make an appointment, call (916) 419-8167 today.